Creating websites that accurately targets your market. Making software that improves your business efficiency. We develop websites and apps that matter. We are dedicated on helping your business thrive. • There are more people using mobile devices than ever before. Let us make your website mobile friendly. • Selling your products online? We offer affordable eCommerce solutions. • It is time to explore businesses abroad. We write the best possible localized website content and create the design to match. Our website development bridges gaps between different cultures and languages. We create websites that are localized and comprehensible to whoever your target audience might be. Using the latest technologies we meet and exceed industry standards to help you build secure and effective websites at an affordable cost. We integrate your websites and mobile applications with other enterprise information resources such as ERP (Enterprise Resource Planning) or CRM (Customer Relationship Management) systems to meet various B2B(Business to Business) demands. Code left over by employees and contractors that need cleaning? We can help! 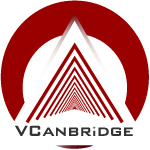 At VCamBridge our experienced staff can efficiently take over projects and finish them at a reasonable cost.